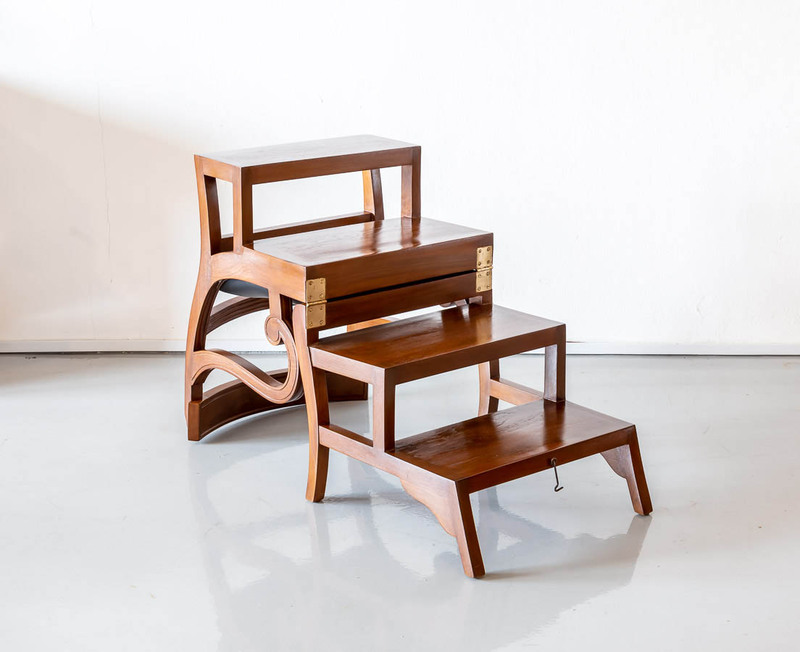 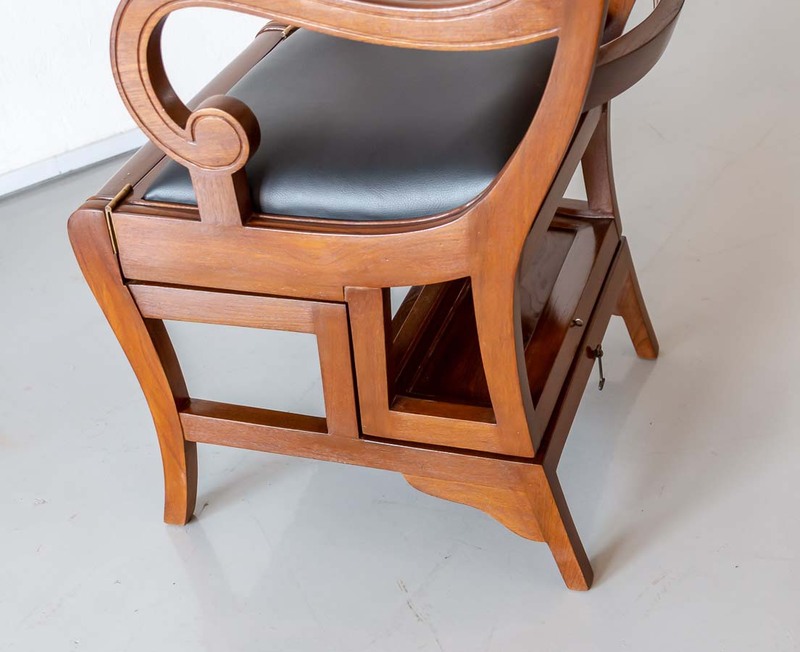 A unique British colonial library ladder chair in teakwood. 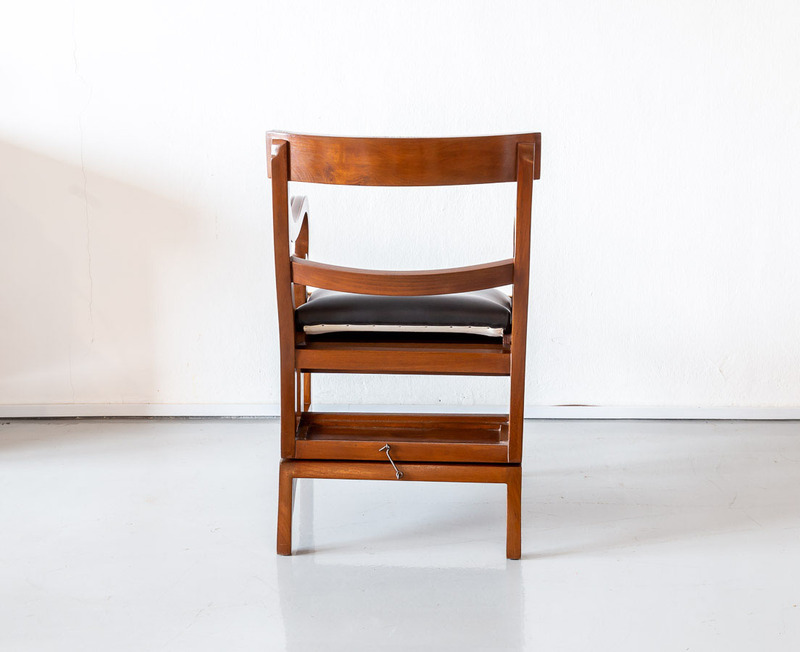 It converts easily from a comfortable chair into a step ladder by folding the back over. 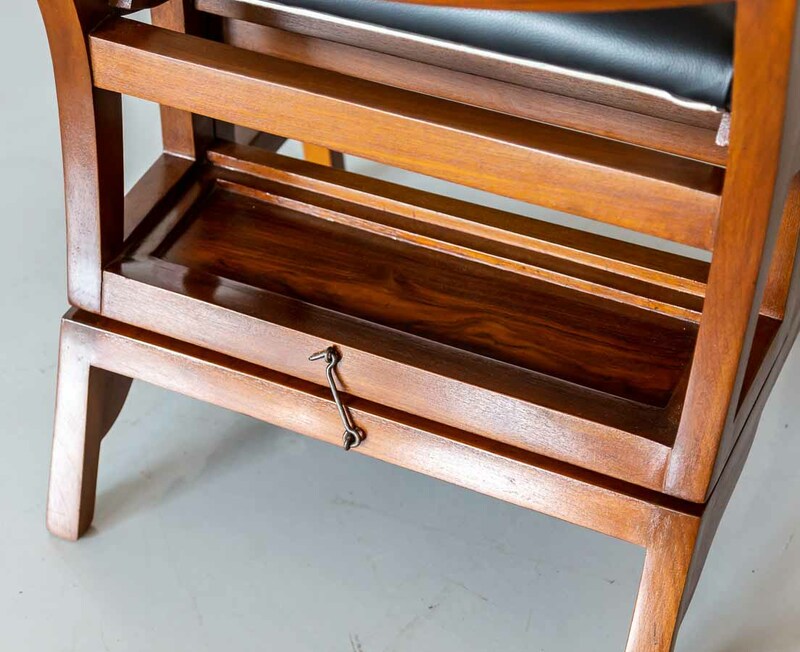 There is a locking hook so you can move the chair without it unfolding. 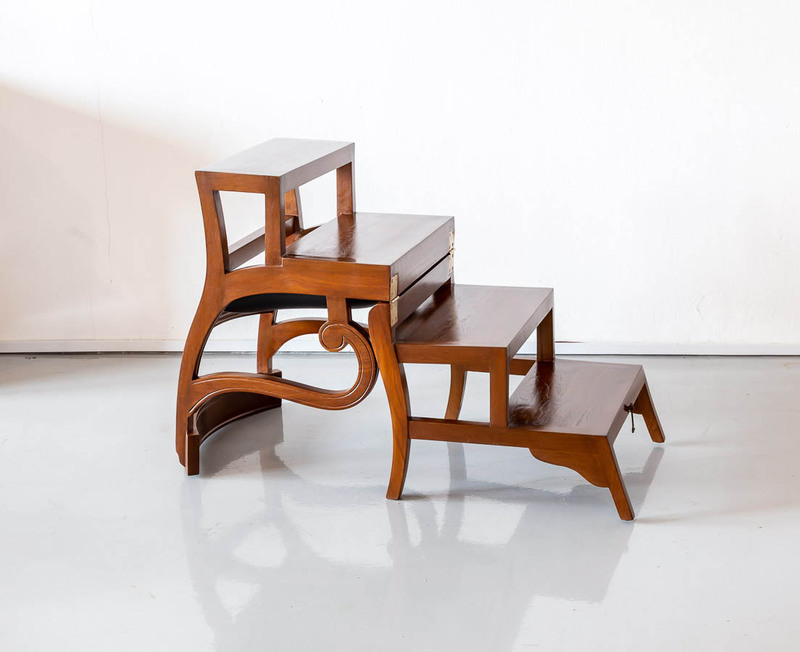 When unfolded the depth is 108 cm or 42 ½” and the highest usable ladder step is 72 cm or 28”. 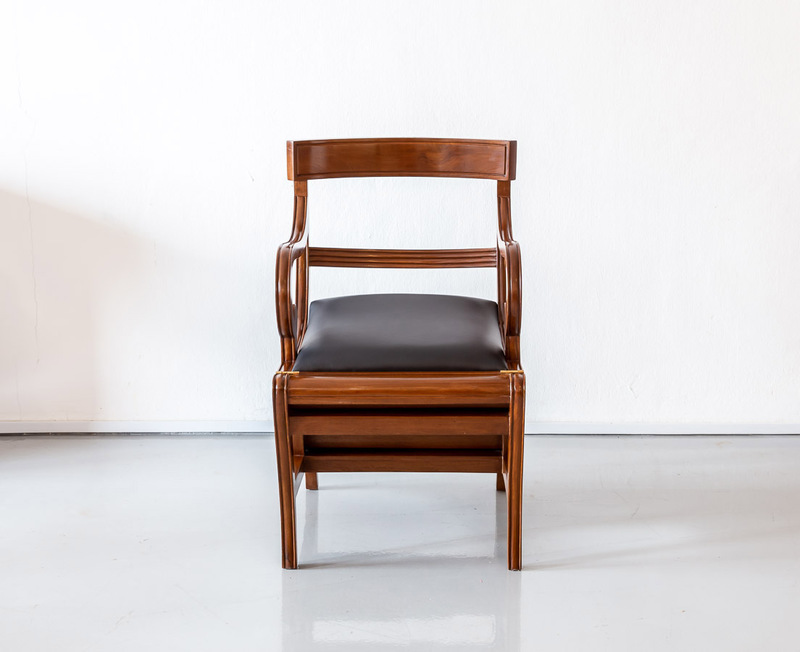 It has a padded, black leather newly upholstered seat. 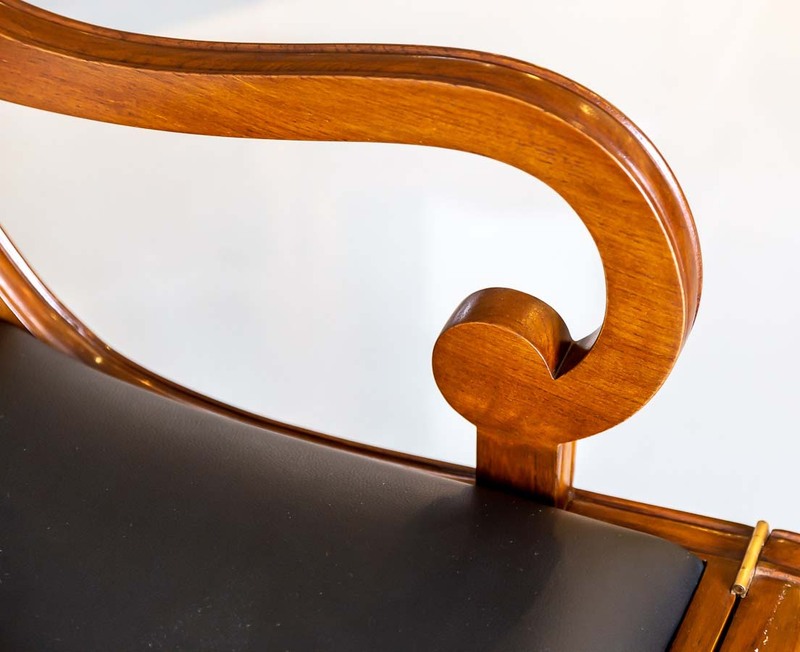 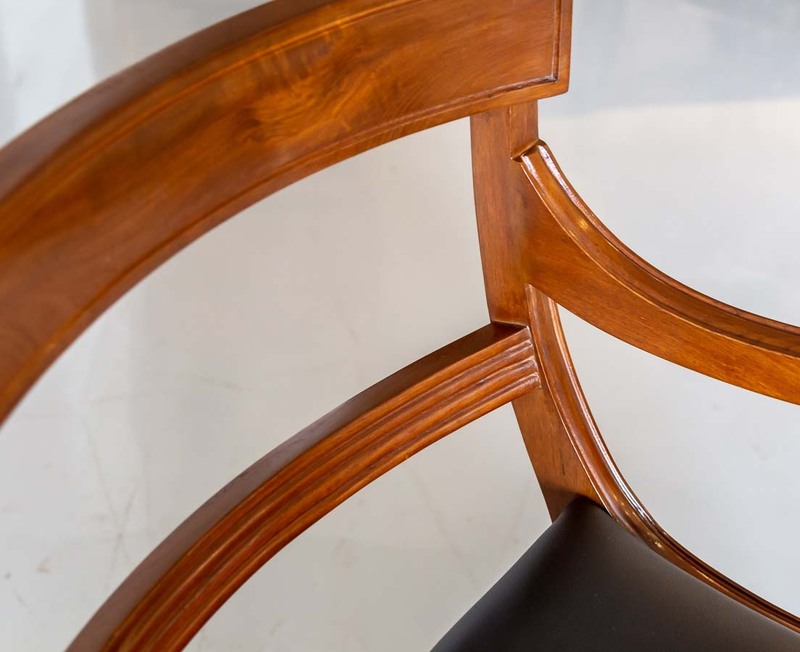 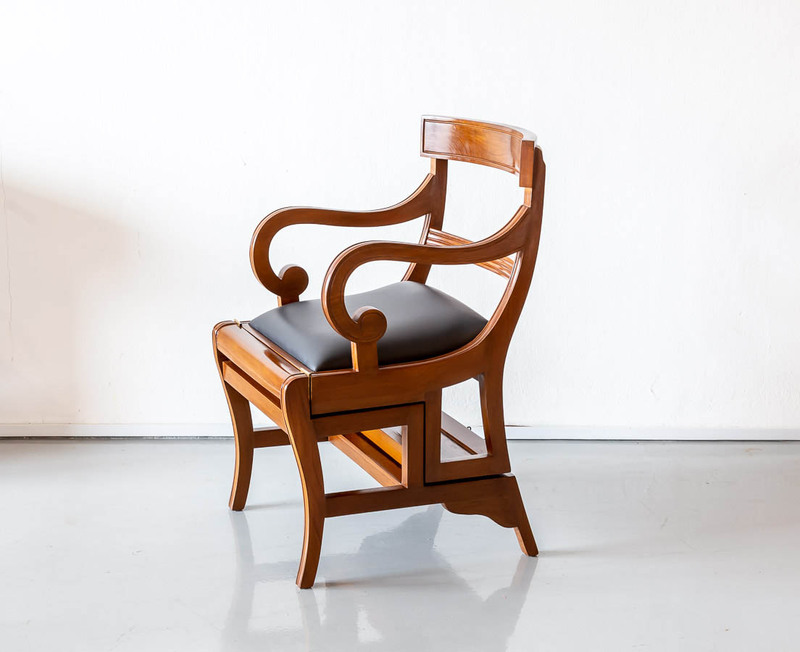 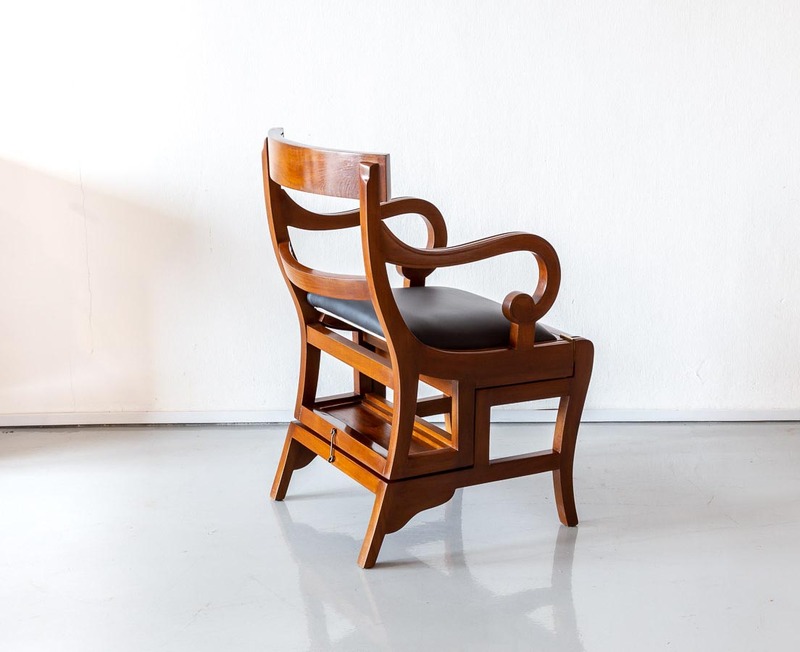 The chair is in good condition and has been lovingly restored and finished to its former glory using a traditional form of French polishing and waxing.